Pinball Machines for sale Melbourne and Australia wide. Pinball machines for sale Melbourne Australia at Arcade Classics. 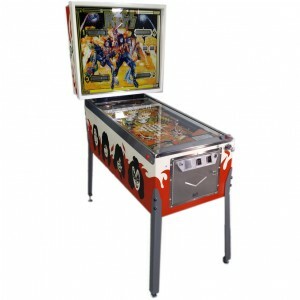 Arcade Classics Australia offers pinball machines for sale across Melbourne and Australia wide. All of our pinball machines for sale have been fully workshop tested and serviced by experienced pinball technicians. Our attention to detail is second to none, which is why our pinball machines for sale look and play like new. Before we offer a pinball machine for sale, we strip down and rebuild the entire pinball playfield. All mechanical parts are removed, serviced or replaced. All lighting is checked and replaced. All electronics (motherboards) are all removed and serviced. New leg levellers are fitted. Old and damaged leg levellers can scratch and damage hard floors. Chrome, brass and gold plating. We ensure our pinball machines for sale play perfectly before they leave our shop.